It's not about fighting, it's about balance. It's not about enlightenment, it's about balance. 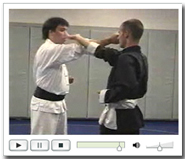 The Shaolin Gung Fu Institute at Shaolin.com is committed to providing reliable and accurate information about Shaolin (kung fu, philosophy, history, martial arts styles, training techniques, etc). Welcome to the new Shaolin.com! Welcome to our new site! Now that we have finished our redesign, we can begin to deliver more training information by video. We will also be offering a forum, a blog, and other features soon. We unfortunately need to have some advertising to help cover the expenses associated with maintaining and developing this site. Please enjoy this Shaolin information, and please consider visiting our sponsors or making a donation to help support our efforts. Thank you!